What happens when you take a projector, fill a room with comfy couches, add some delicious food and beer, and do it all with love? You get Oakland’s beloved Parkway Theater. 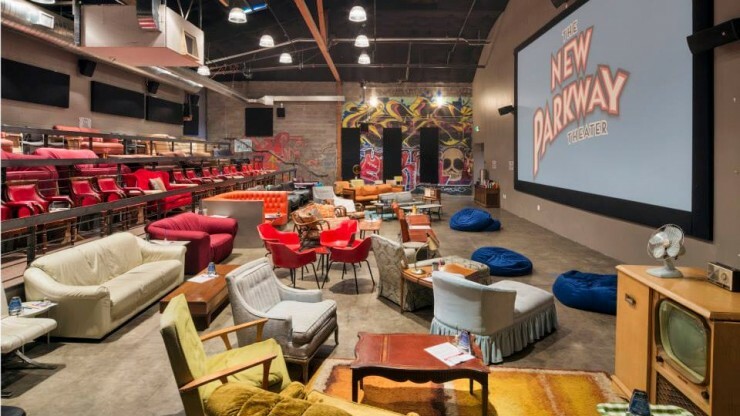 Following in the spirit of the iconic picture pizza pub, the New Parkway Theater is an eclectic movie-going experience where people not only come to watch movies but to have an unforgettable night out with friends and community. Enjoy a movie while sitting on a couch, enjoying a freshly cooked meal, and washing it down with local wine or beer on tap, all for under $25.